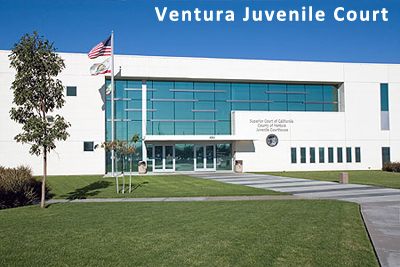 When you are dealing with Child Protective Services (CPS) in Ventura County, California, you will do better with a skilled and experienced Juvenile Dependency attorney to assist keep your family together or get your family reunited. In CPS cases in which your children have been removed from your home based on accusations claiming your children are neglected, abused or endangered, you should seek legal help quickly. A Juvenile Dependency attorney can assist you. My name is Vincent W. Davis, and I have represented over 1,000 individuals, from parents, stepparents, grandparents, and foster parents defend themselves against false allegations; or to clear up misunderstood facts and circumstances; as well as helping many clients who were rightfully accused address personal issues in a manner that helps the family, gets the family reunited, and also satisfies the court in the fastest and most cost-effective manner possible. I also represent grandparents and other family relatives outside of California gain release of children from local foster care into the more healthy and stable environment of loving relatives. We also represent foster parent attempting to retain custody of children that have been placed in their care. A lawyer at our firm can discuss adoption matters with you as they relate to specific situations that you may find yourself in, either seeking adoption or trying to prevent an adoption. Juvenile Dependency Cases brought against Parents and Guardians with the evidence-gathering and investigation by CPS social workers can be extremely stressful and complex, as the accusations of child neglect or child abuse can come from almost any source – including anonymous telephone “tipsters.” CPS (Child Protective Services) agencies – operated at the County Level of Government all over the state of California- are required to remove children that may be endangered. But what if the accusations are false, inaccurate, vindictive (disputes with neighbors are very common), or based on rumor? Unlike the way we were taught in school: “Innocent Until Proven Guilty,” in the Juvenile Dependency Courts and in the closed-off culture of many CPS Agencies, the Parents are GUILTY until they can prove themselves innocent! That task is made almost impossible by the rules that are unique to Juvenile Dependency Courts, where for example, at the typical 10-minute hearing the parents are not even allowed to speak for themselves but must have an attorney speak on their behalf! Juvenile Dependency courts are very different and you need an attorney with lots of experience to assist individuals in reuniting families that have been unfairly separated. If your child has been arrested for any juvenile crime, it is crucial that you select an attorney that is skilled in dealing with the juvenile court system. Vincent has a legal team -hand picked- to provide support for Juvenile Dependency and related Family Law issues including criminal defense for parents and kids both. Your child needs experienced representation that will fight on their behalf and that of the whole family. Let’s face it, young people make mistakes, and ensuring that your kids or grand-kids do not end up spending years in the court and juvenile detention system is what our objective is for your family. Fortunately, there are many available options for youthful offenders. A skilled juvenile defense attorney can suggest a variety of good options for your child and with your help we can present them to the court in place of county detention. What we want to avoid is your child kept or sent to a county juvenile detention center where youngsters are abused, enticed into a culture of crime and the overall experience will do very little to solve your child’s problems. Many young offenders will “learn their lesson” by being arrested and charged, so the faster we can put this behind them the batter. If your child’s crime is very serious, the district attorney may decide to try him or her as an adult where “punishment” is the objective rather than “rehabilitation” as in the Juvenile Court System. No matter the circumstances, we are here to listen and give you competent legal advice so you can make proper decisions. We believe in your cause and we believe in your future. Call us toll day or night at 888-506-6810 or contact us by e-mail to schedule a free consultation at one of our convenient offices in the Southern California metro region or we can come and visit with you. Our offices are open 9 am – 7 pm, Monday through Friday, and on weekends by appointment.